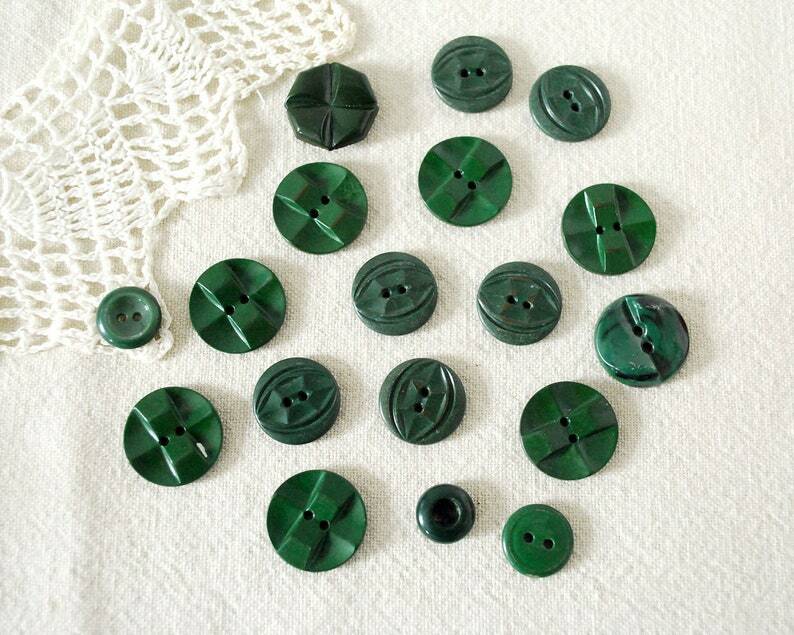 Eighteen vintage plastic Art Deco buttons, dating to about the 1930s or 1940s, in a lovely shade of dark green or forest green. Included are a set of seven buttons (7/8 inch in size), another set of six buttons (3/4 inch), and a few extras in the same color. Note that some of these show a little wear (especially on the underside of one of the small ones), but they're mostly in good condition and ready to use.